Andreas Tscheppe is part of the Styrian quintet of vignerons called Schmeck das Leben (taste of life). He has small vineyard parcels in a few locations and a corner of a cellar in his brother, Ewald’s house, where he makes his wine. He only makes white wines from Sauvignon, Chardonnay and the two Muskatellers – some are straight pressed, some are skin contact wines, all spend a long time in barrels maturing before they are ready to be released. Farming is biodynamic. Each plant has its place and every living thing is taken into consideration in the belief that the vitality and complexity of the soil are the basis for expressive wines. The vineyards are invigorating places to visit, full of flowers and insects. One of the key vineyards is the south-east facing high altitude Krepskogel. The steep terraces lie 500m above sea level and are surrounded by the thick forests. You are but a hop from Slovenia – indeed one drives across the border to reach the vineyard. The soil is very sparse and dominated by Opok with lots of stones on the surface. The remarkably high mica content in the soil is seemingly responsible for the particular graphite scent of the wines. Andreas speaks about the dialogue of the earth and the air and one may see the roots of the newly-planted vines here peeking out and being part of the conversation. Small clumps of flowers and weeds thrive in each of the rows. Harvest is only done by hand. Selection already happens in the vineyard yielding naturally low yields. The destemmed grapes rest for a few hours before the berries get crushed. After a gentle pressing the extracted unfiltered grape must is decanted into wooden barrels. Here it ferments solely with the help of native yeasts. Using only a minimal amount of added sulphites (if at all), the unfiltered wine is bottled after a storage time of 18-24 months. Blue Dragonfly is a charmer. This is the more floral and less intense of the two Sauvignons with notes of elderflower and wild mint. The wine is almost velvety in the mouth, tranquil, harmonious. Green Dragonfly, meanwhile, is bursting with life, an aromatic firework of minerals and herbs. Despite its thickness it is cool and focused with a touch of matchstick reduction giving it an edge. When one tastes his Green Dragonfly one can visualise Andreas Tscheppe in his vineyards hotching with fauna and flora, grasses, weeds, herbs, dragonflies, his eyes darting, alighting on a certain grape bunch, touching, feeling, plucking. This thrilling vitality communicates itself seamlessly into the wines. The grapes for the Salamander grow on the terraced vineyards of Czamillonberg. This vineyard faces south and the soil is sparse and dominated by calcareous marl. The low yield in addition to the meticulous farming ensures a multi-layered wine. All Andreas’ wines are made in the same way; his Chardonnay takes on extraordinary balsamic complexity and lingering mineral flavours. The Two Muskatellers Ride In! Segelfalter & Schwalbelnschwanz. There’s Muscat and Muscat and there’s Tscheppe’s versions. The former, a Gelbermuskateller gets your superlatives juicing, whilst the skin-contact Goldenmuskateller will leave you on your Hosenboden! Two utterly “butterfly” wines, aromatic yet wild and herbal, with firm-fleshed yellow-leaning-into-gold fruit flavours and bitter quinine notes The Gelbermuskateller is a long-established variety in southern Styria. Muscat wine thrives on the Krepskogel. Its exceptional flavour spectrum manages to be exotically floral with beautiful notes of white and yellow peach, pink grapefruit and white spice. The finish is dry yet tongue-enveloping, ripe fruit offset by refreshing bitterness and wild herbs. The Goldmuskateller grape originates in the South Tyrol. Tscheppe brought this grape variety back to Styria and planted it on the Krepskogel. In its youth the strong tannins from the three weeks on skins make this wine taut and tart, which is part of the charm! The flavours play like an orchestra from your nose to your palate, the length is endless, the fruit darting out from the smoky-spicy ensemble. In 2016, owing to adverse weather conditions (frost and hail) only the Schwalbenschwanz was made. 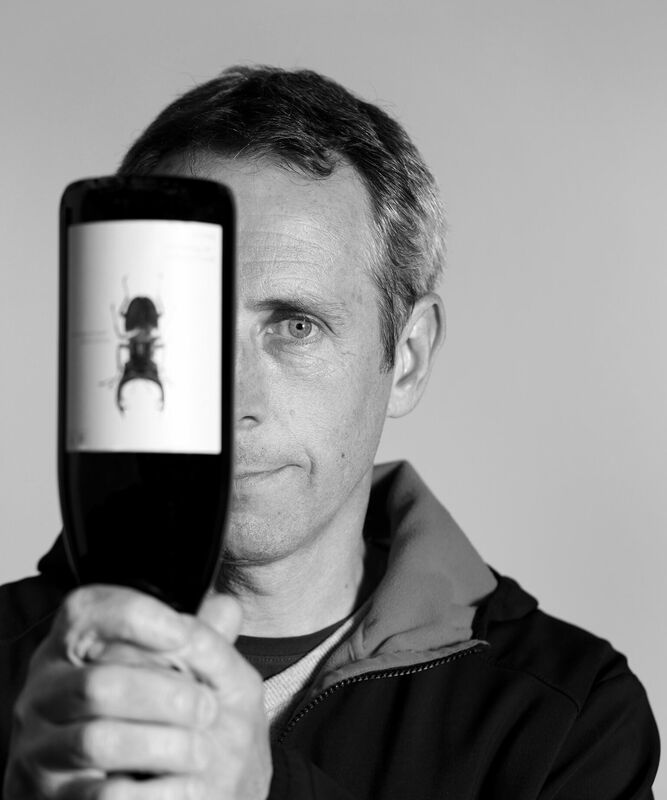 Finally, there is Erdfass, or Earth Barrel or Stagbeetle; many names for a stunning wine made predominantly from Sauvignon with a small proportion of Chardonnay. The grapes normally come from Langegg and Czamillonberg. The foundation of this wine is built on the ripe, healthy grapes grown on the bare, poor quality soils. The grapes are first destemmed and then ferment for a period of two to five weeks in a large wooden cask on the skins. After pressing, the barrel is filled with the wine and buried in the ground over the period of winter (around six months). In spring, the barrel is returned to the cellar where it remains until bottling. After a total maturation time of about twenty-four months, the wine is bottled without filtration, fining and minimal (or zero-added) sulphur. This is a wine that is close to the earth in every sense. The slow ageing gives it rich depth and almost spicy complexity. The marriage of Sauvignon and Chardonnay is a fine one (we see the same in Sepp Muster’s Erde) and the rocky soils bequeath an intense minerality to the final wine.